My students have been exploring growth mindset lately. Together, we have discussed what it is, how it differs from a fixed mindset, and what is needed to support those who are willing to realign their thinking. Many students are nervous about art class, but I’m not sure if I fully understood the reasons why… until just recently. For the longest time, I was convinced that the majority of students held back from improving their skills because they were sure that they had no talent. All too often, art class is considered to be a place for those who have been endowed with a natural ability to express themselves through “beautiful” artworks; things that are created with an air of mystery and presented at a lofty level, far above the understanding of the masses. Although these false assumptions still wreak havoc on the minds of some art students, the real culprits lurk in the shadows: fear of judgment, fear of failure, and fear of others. What can we do to help students move past these fears? I know that Amy’s picture is referring to an article about Twyla Tharp’s work on creativity, but I’m hijacking it for my own purposes here. Students need help building a backbone if they are going to be able to use it for the hard labour ahead: practicing skills, making an effort to be creative, and even going so far as to be original. How are we helping to lay the foundation for true creativity in our classrooms? Do we assume that skills are the fundamentals to help build confidence in our students, or are we willing to dig a bit deeper to see what is really needed? If we refrain from creating a positive learning environment because we are focused on a list of curriculum expectations, whose needs are we serving? Last week, as I was making my rounds in the class, I walked over to a corner of the room where a student was quietly working on her latest project. When I saw that she was using a lighter, my knee-jerk reaction involved asking her to stop what she was doing. 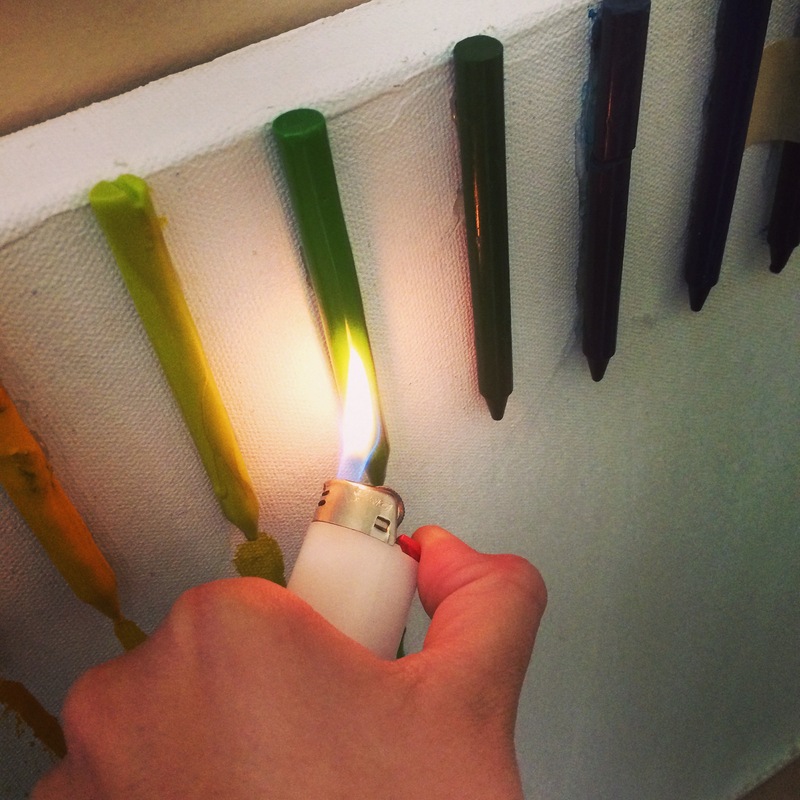 After a moment, she patiently showed me what she was doing and why it was effective for her art. She even compared the technique with that of one of her classmates, showing me the benefits of smoother lines in her composition. 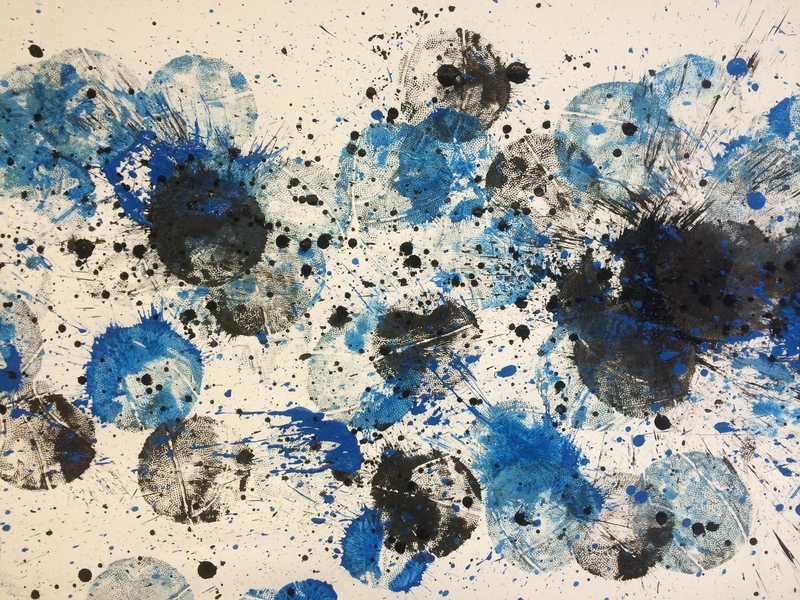 This week, two of my students collaborated on an artwork that involved dipping a basketball in paint and making a series of bounce passes to each other. Where the ball bounced, prints were made on the paper that was on the floor between the two artists. The result was excellent, even if our classroom ended up a bit messier than usual. My students continue to teach me. Thanks to our discussions, I am learning what needs to change for them to prosper. We will work toward establishing a repertoire of skills, but that won’t make us lose our focus on meeting the conditions necessary for a healthy learning environment. This entry was posted in Art Education, Education Reform and tagged #artsed, confidence, creativity, fear, growth mindset. Bookmark the permalink. 1 Response to What Comes Before Creativity?